Ok it is official………………I am crazy……………………..I like Mondays! Never used to like them when I worked, but I like them now. In particular I like today’s Monday. Why……………because both Sandra and I were runners up in the Avery Elle Monthly Challenge. The theme was “Tags” and we both got picked for our entries. This is a good thing for many reasons. One reason is that if she had been recognized and not me, all of you would have been subjected to more of my )(*&^% and moaning about it. If I had been recognized and not her, she would probably renew her efforts to drown me in a river like she tried last summer. The third reason is that it is nice to be recognized for something that you like to do and would do, even if no one else ever saw it. I also like Mondays because several of my favourite challenges are revealed on Mondays. 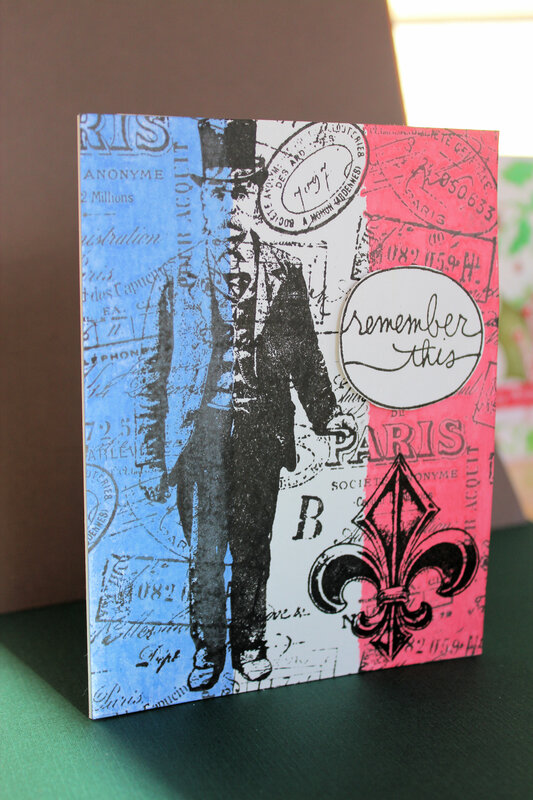 Simon Says Stamp new Monday Challenge is “gentlemen”. 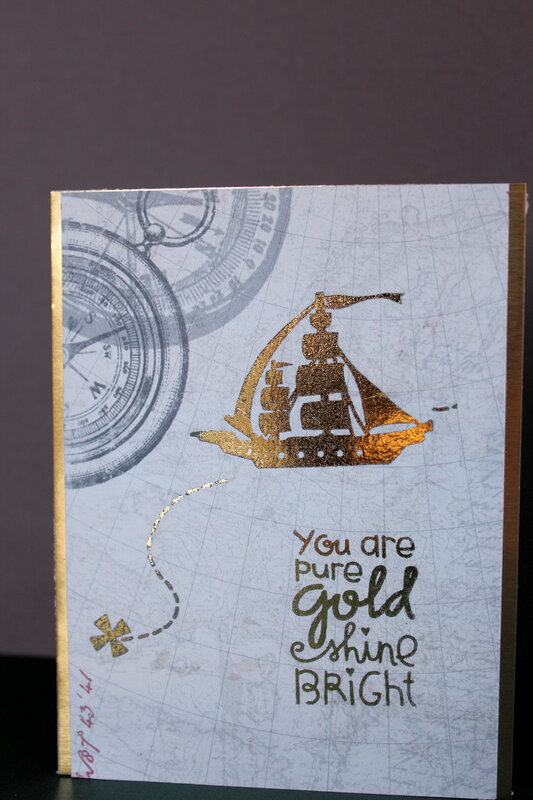 Well, it seems like Tim Holtz comes to mind immediately with a theme such as this, as many of the examples use Tim Holtz stamps. One of the great things about Tim’s stamps are that they are timeless. Vintage is ………..well………….vintage so it can’t look “out of style” and nothing says “gentlemen” more than top hats, canes and umbrellas, so Tim it is. I decided to make my card vintage and timely at the same time. Today I decided to finish doing something that I started in early September. I have made a few layouts of my Alaskan Cruise but there are several more to do to complete the story. 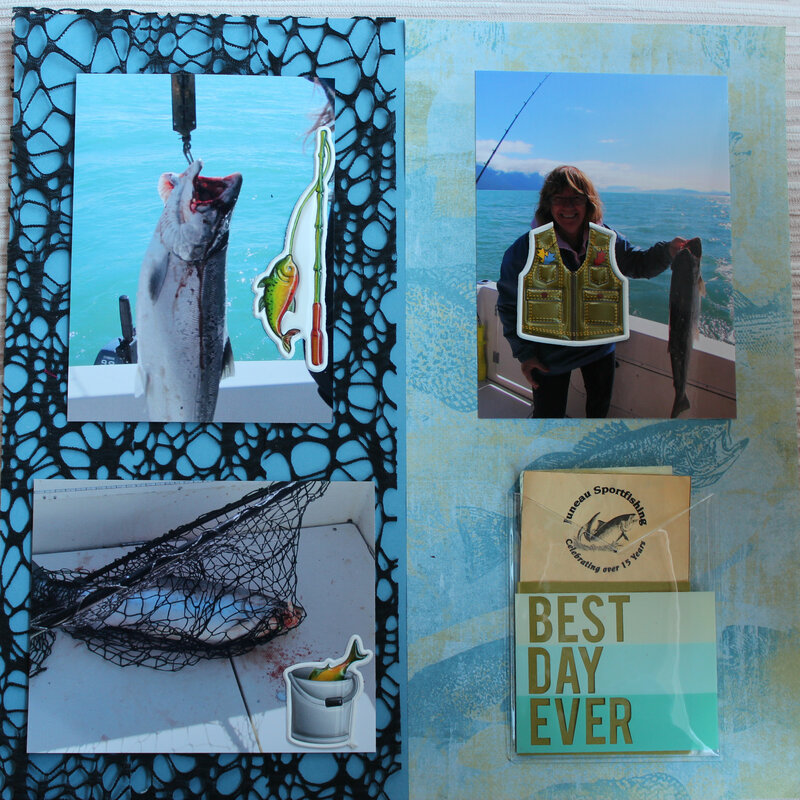 One of the layouts tells the story of me catching a lovely Coho Salmon on a fishing excursion in Alaska. Now this fish may be the most expensive salmon ever caught and never eaten in the history of salmon fishing. 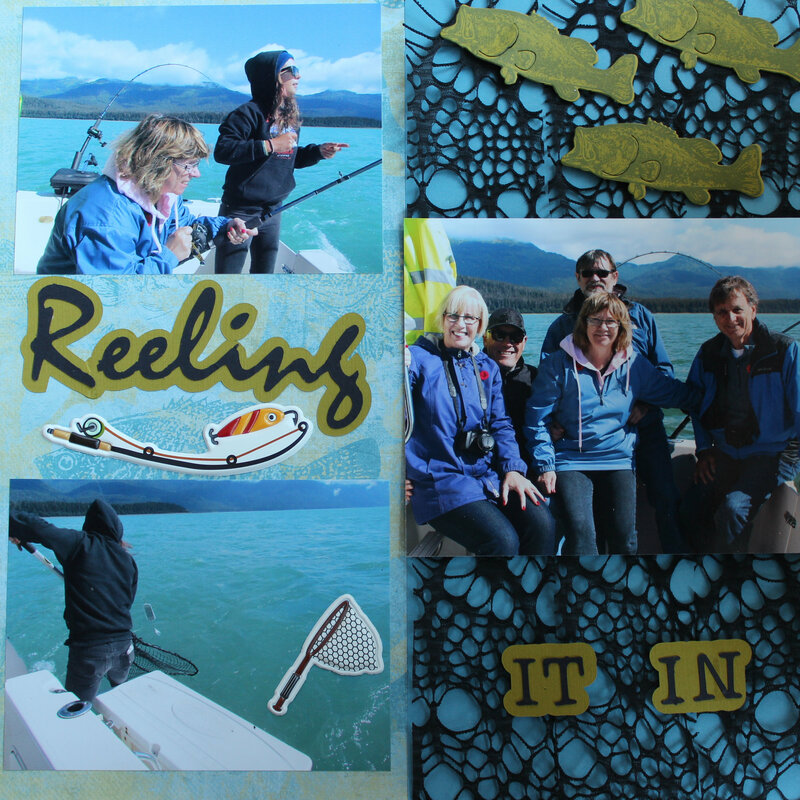 Five of us from the Celebrity Infinity signed up for a fishing excursion in Juneau, Alaska. Excursions from a cruise ship are generally synonymous with expensive anyway, but this one especially so. Anyway, off we go. On the way to “the spot” we all have to get fishing licenses. Cha Ching, cha ching! Then we have to get an extra license specifically for King Salmon. Cha Ching Cha Ching Cha Ching! I protest saying I don’t need to catch a “King” salmon, a “Queen” or even a “Prince would be good enough for me. Alas, no, it doesn’t work that way…… you need a “King” license just in case his crown gets caught on your hook, and the “Fishing Warden” is lurking nearby. So then, we have to take turns fishing, one at a time. Lucky for me, I win the fishing equivalent of the lottery and I get to fish first. The rest is history and documented on the layout below. It would be great if I could say that this fish fought me so hard, it took hours to reel him in, but no he sort of co-operated and accepted his fate. He got back at me though, as I was forced to hold him up by the gills for the obligatory picture. EWWW! The end of the story is that it is also difficult and expensive for Canadians to be able to get their “catch” shipped home. The answer was that it would be at least three times the cost of walking into Safeway and buying the same fish. As a result, the fish was “donated” to the boat crew for a barbeque they were attending that night. All is well that ends well though, and we had a wonderful day out on the water and met some fabulous people. 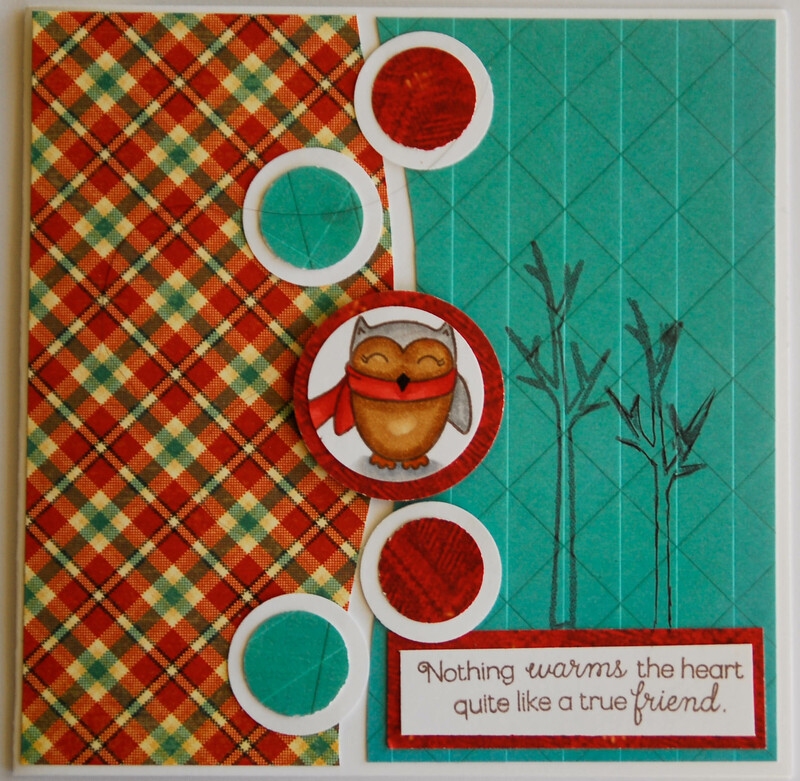 Simon Says Stamps Monday Challenge is “Thankful”. Usually the challenge is only for one week but this week was extended to two. Someone said the only reason a craft room gets cleaned is so that one can rediscover all the great stuff that you forgot that you had. This is very true for me. Yesterday I rearranged how I stored some basic paper. During this rearrangement, I found some Tim Holtz Glassine paper. I hadn’t used this paper for quite some time, but remembered that if you crunched it up, it cracked in lines and accepted Distress Inks very well. This looked particularly nice on diecut fall leaves. With the “Thankful” theme of the challenge, I thought today would be a good time to use it again. 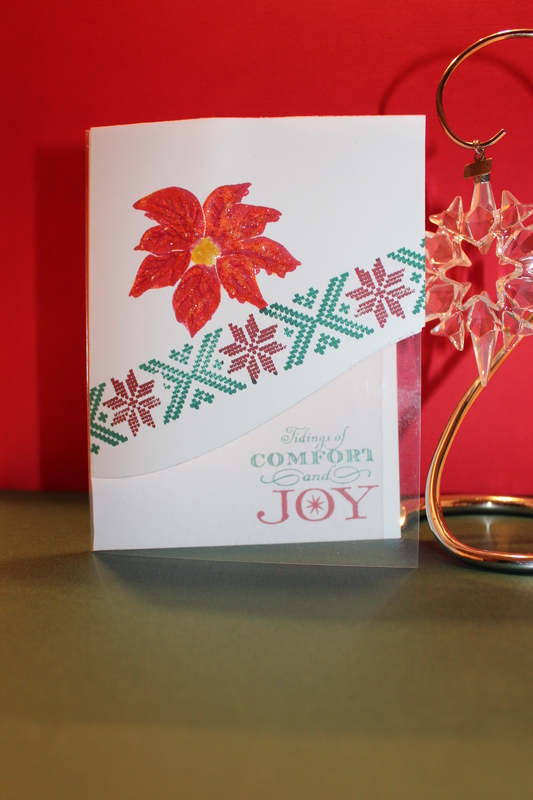 I like when old things become new again though, so I decided to use Distress Paint instead and give them a shimmery coat of Pico Irresistable Embellisher to the painted leaves. 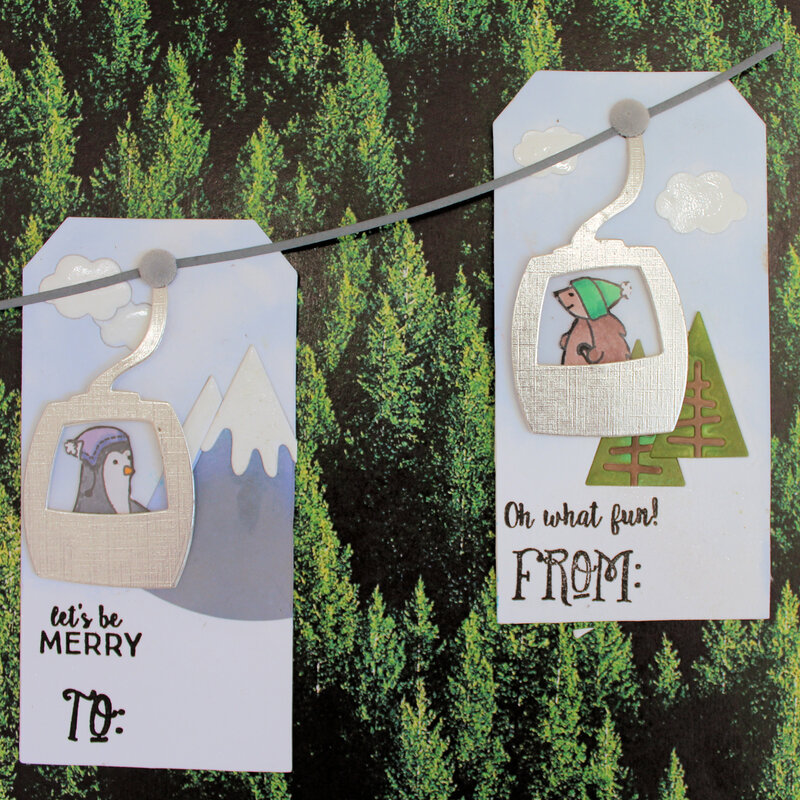 I think the resulting card looks great! Simon Says Stamp Apple of My Pie Stamp Set, Pebbles 6X6 patterned paper and apple sticker, Tim Holtz Glassine Paper and Distress Paint, Hero Arts dye ink, Co-ordinations kraft card base and Tombow tape runner. 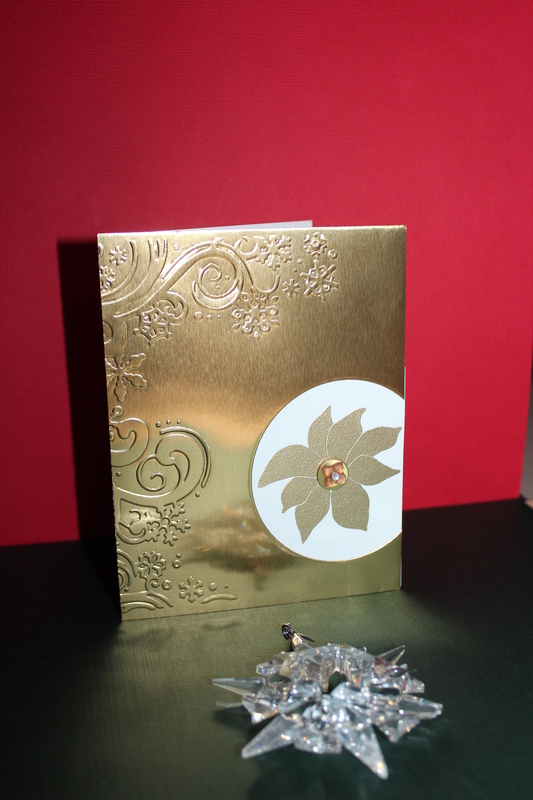 The Make it Monday Challenge at Papertrey Ink this week, is to make a layering card using white ink on kraft cardstock. This challenge couldn’t come at a better time. My almost new Colorbox Frost White Ink pad had been turned a pretty, but not what I wanted, pink from using a stamp with residual red dye on it. What to do? I scraped off a top layer of ink, but it was still looking really quite pink. 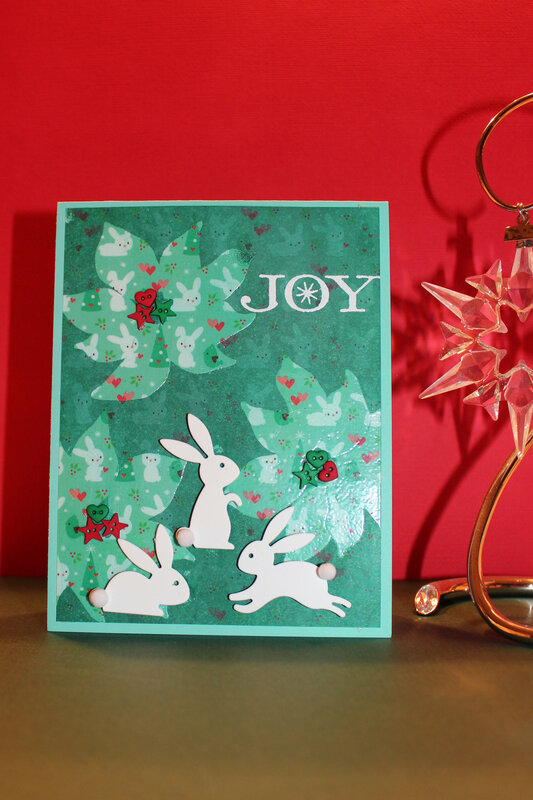 I decided to just go ahead and make the card, hoping that the pink would disappear on the kraft cardstock. It actually worked. 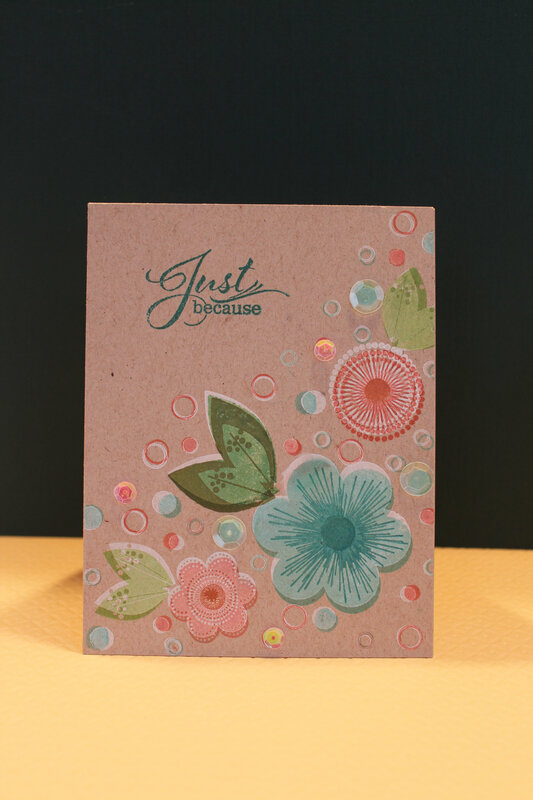 More and more of the white ink buried in the pad came to the top and diluted the pink with each image I stamped. 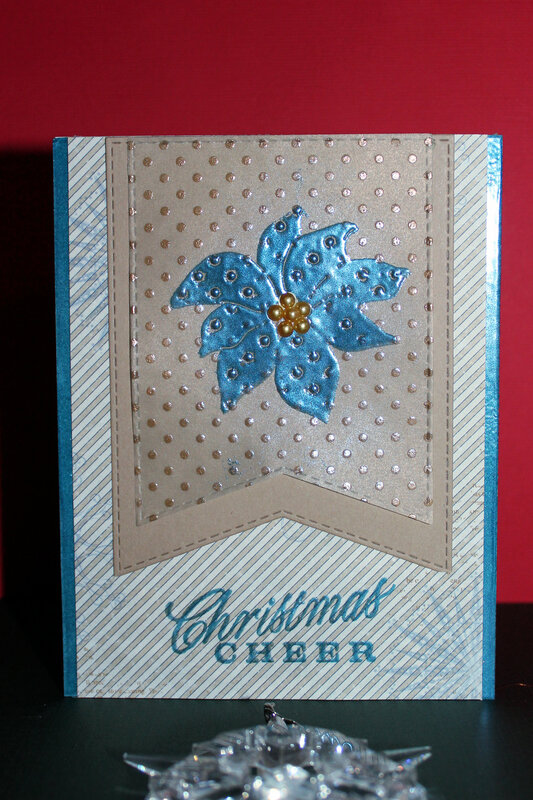 The card turned out well, and I think I salvaged the ink pad from going to the garbage. 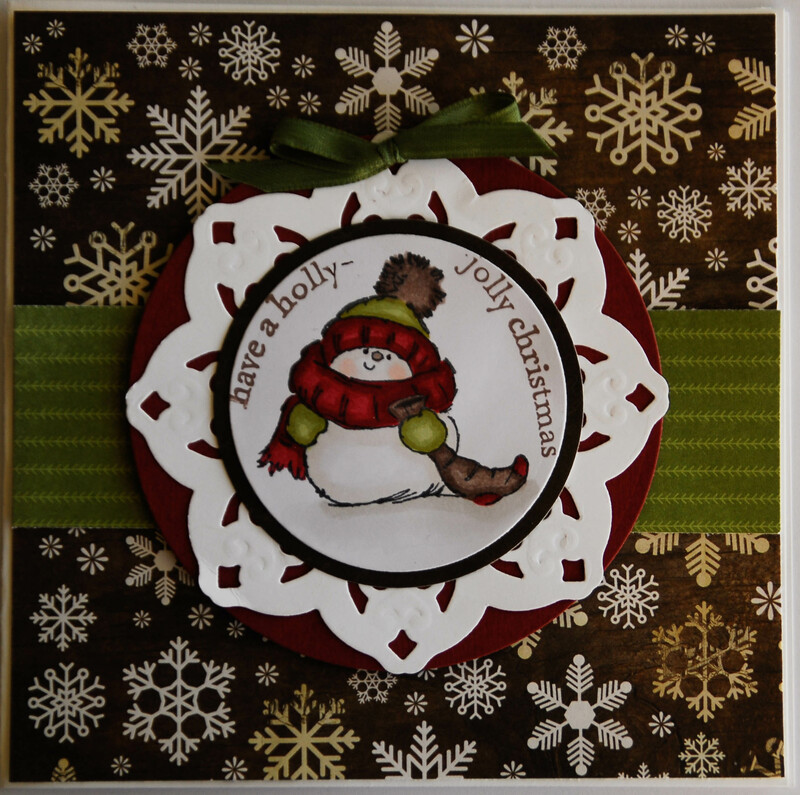 I have two more cards to show today to complete the Day 11 class of using one stamp five ways. Today’s styles are Shimmer and Shine along with Soft and Subtle. Sandra has quite an extensive collection of Penny Black Stamps. 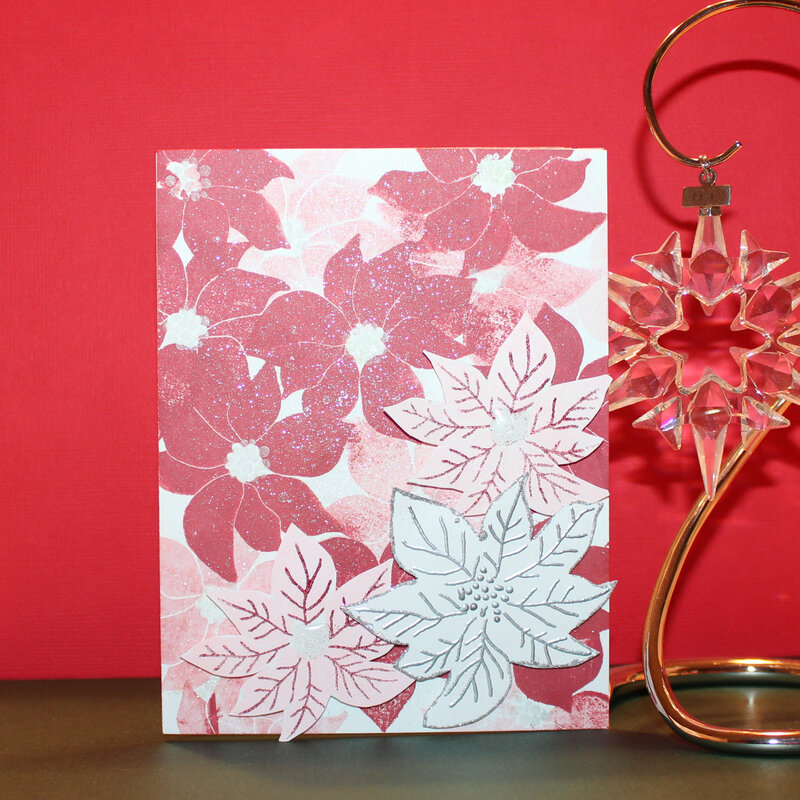 Sandra has made a lovely elegant card using one of her many sets. Sandra wanted to try her hand at the Sketch Challenge over at WPlus9.